The tea bush known as Camellia sinensis grows in loose, deep, acid soil, at high altitude, with summer and autumn rain, in a little heat and little wind. In these harsh climatic conditions most plants die but the tea bush flourishes fantastically. The finest tea comes from elevations of 900 to 2100 meters. Tea is nearly 5,000 years old and was discovered, as legend has it, in 2737 B.C. by a Chinese emperor when some tea leaves accidentally blew into a pot of boiling water. In the 1600s tea became popular throughout Europe and the American colonies. Since colonial days, tea has played a role in American culture and customs. 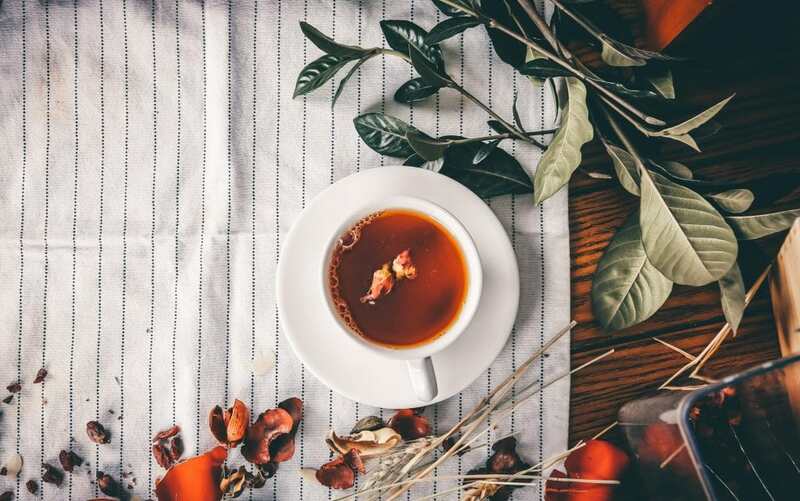 Over 90 percent of the tea consumed in the U.S. is black tea, which has been fully oxidized or fermented and yields a hearty-flavored, amber brew. Popular black teas include English Breakfast (has a hearty flavor that mixes well with milk), Darjeeling (a blend of Himalayan teas) and Orange Pekoe (a blend of Ceylon teas; is the most popular of the tea blends). Green tea skips the oxidizing/fermenting step. It has a more delicate taste and is light green/golden in color. Green tea is gaining popularity in the U.S. due to recent scientific studies linking green tea drinking with antioxidant benefits, and as a weight loss aid. Partly oxidized/fermented and is a cross between black and green tea in color and taste. It is very popular in China. White tea is lightly oxidized and grown almost exclusively in China. White tea comes from the delicate buds and younger leaves of the Camellia sinensis. It has less caffeine than black or green tea, and much less than coffee, making it an excellent choice for those wishing to reduce caffeine.